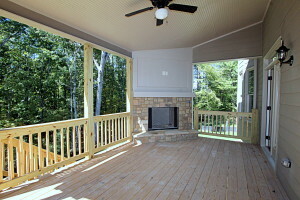 With spring and summer quickly approaching, it’s time to think about outdoor living. 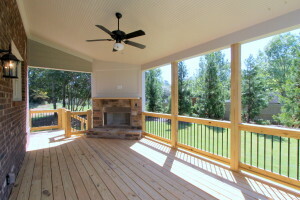 Here are some tips for maximizing your outdoor living. Supply your grilling or food prep area with similar amenities as you would your indoor kitchen. Set aside a small storage space to keep separate sets of grilling utensils, serving dishes, stemware and other food prep items handy. With a fully stocked area you will allow yourself more time to interact and spend more time with guests by not having to run inside for missing supplies. Even though fall and winter can bring cooler temperatures, that doesn’t mean it can’t be warm outside. Provide maximum comfort for your family and guests with heat lamps, a fire pit or fireplace. Any one of these items can help to warm up a space and allow for use in colder temperatures. Extend your outdoor living space with lighting up your space at night. A variety of methods can be used including installing a combination of landscape lighting to highlight design elements as well as direct lighting over communal areas. Dimmer switches and decorative lighting can provide just the ambience for outdoor living. Outdoor lighting can also help to make your space safer for guests and your family, providing safety for walkways, staircases and grilling areas. Although many people escape outdoors to unplug and relax, technology can be an added benefit to your outdoor living. A Bluetooth speaker system or hardwired outdoor sound system allows you to control music and set the tone for your outdoor living experience. You can turn your outdoor space into a second living room with outdoor televisions and projectors, allowing you to further use your space for watching sporting events and movies. Quality and comfortable furniture can go a long way toward making your space an inviting area, as no one is going to want to spend time outside if they are not comfortable. Furniture made from heavy, durable materials is ideal, as it will be able to withstand regular cleanings and will not weather as easily. Newer synthetic materials provide a great option here, as they have the look and feel of wood and other natural materials without the maintenance issues. Be sure to also purchase correctly fitting furniture covers so that your furniture is ready to go at a moment’s notice without needing to be cleaned beforehand. These covers will also help preserve your furniture for many years. Cotton States Properties has been building quality crafted homes in sought after communities in the Metro Atlanta Area since 1972. Many of our new home designs feature customizable options, such as covered patios and outdoor living rooms with fireplaces, allowing new home buyers to take full advantage of the their outdoor space year round.